No more grey skies for Sunny! 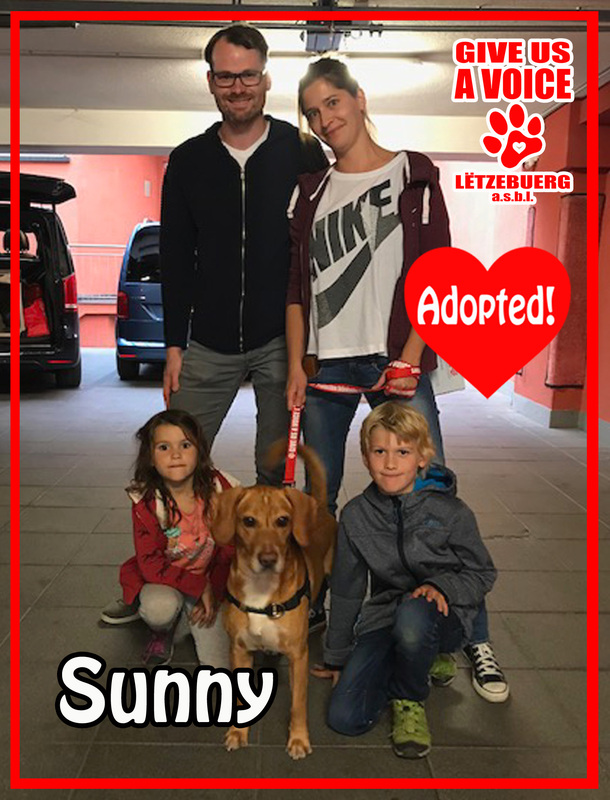 Great news, Sunny found a home! This cutie was adopted by the adorable Bretz family. GIVE US A VOICE would like to give a big thank you to this wonderful family for deciding to adopt and not shop. We know Sunny is in great hands and can look forward to a future full of love and adventure! If you would like to give a dog like Sunny a second chance, please contact GIVE US A VOICE +352 691 140 001.